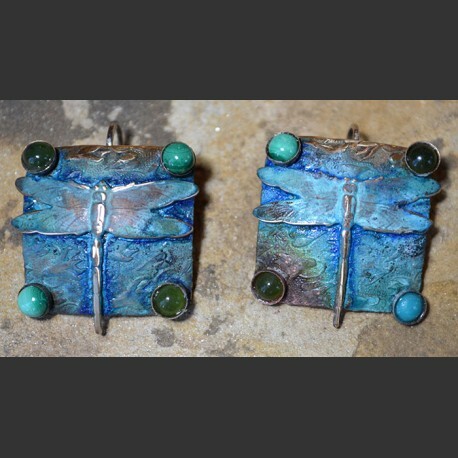 Dragonflies predate the dinosaur and have the serene element of quick flight and transformative movement. They represent hope, mystery and fairy-like, mesmerizing, body movement on a plane a mere human can only dream about. 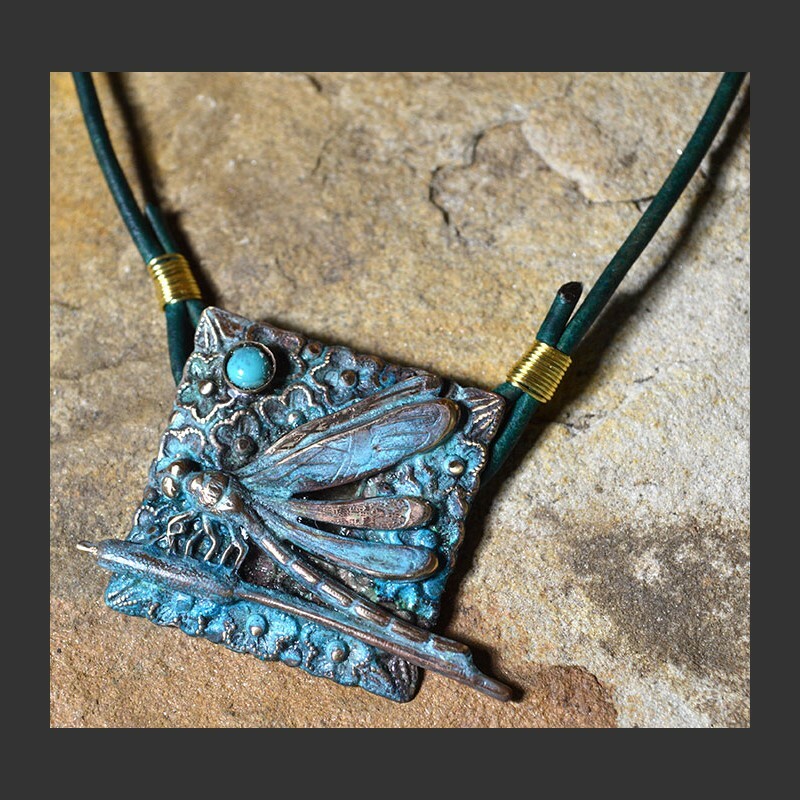 This mesmerizing necklace features a square back with a delicate dragonfly in repose. Features a turquoise stone in the upper corner, on a turquoise rawhide necklace. Length of the necklade adjusts from 16-18" and pendant is 1 5/8" x 1 1/8". Made in the USA.